Just a reminder to open up your DDPDOJ metal cases and check your Varta battery for leakage. And if you aren't playing Espgaulda or Ketsui often enough to notice, shame on you, and check those as well. It actually cleaned up quite nicely. Dang it, I bunged up the post. Indeed, I didn't think it would prove a too sticky situation for you to handle, Dave, and I'm glad it turned out well. any signs to look for when these batteries are on there way out?? i'd hate to spew acid on my board.also how often should they be changed do you reckon? I think once you start seeing those fuzzies developing around the terminals, is probably a good time to remove/replace. As mentioned in several other threads, there really is no need for the battery if you play on full defaults, unless of course you have a black label. I'm leaving the battery out of my DOJ and will probably do the same for Espgaluda and Ketsui as soon as they start showing the fuzzies. yo, where's mr peanut gone? I check mine monthly, even though the battery is only 6 months old. 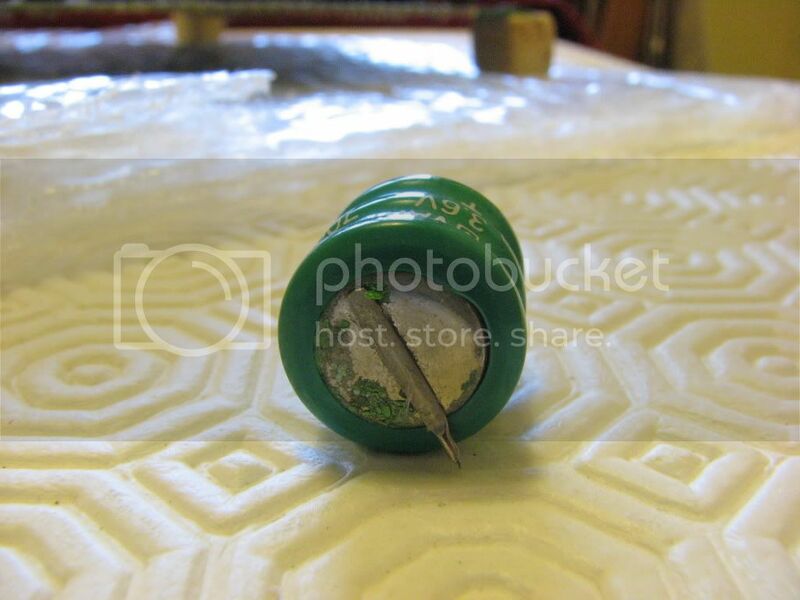 Is there a different battery that can be used as a replacement, other than the Varta? 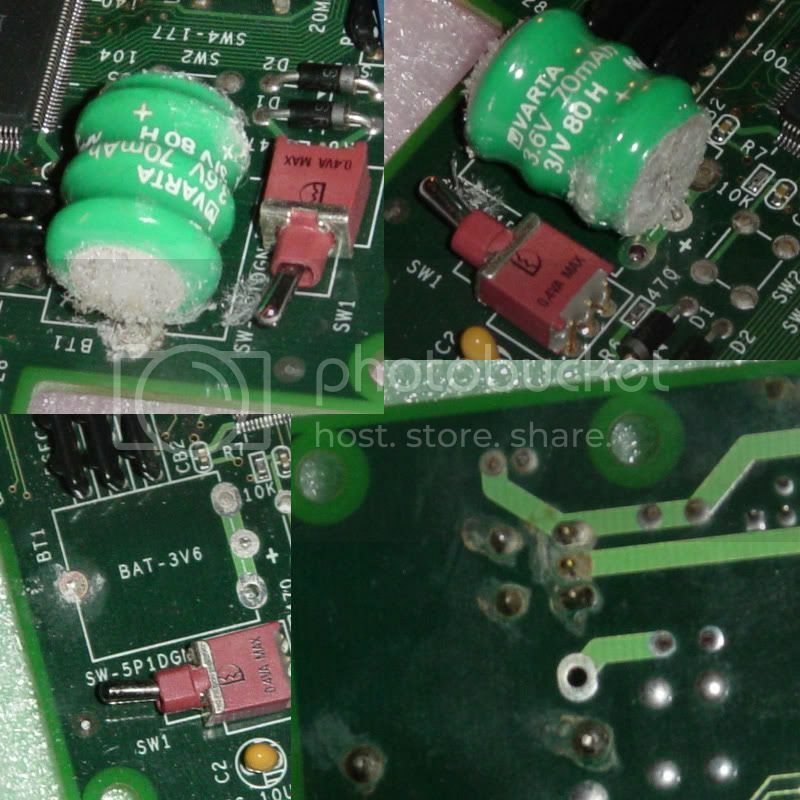 was reading up about this leaking battery stuff so had a quick check, the battery was on it's way out so i snipped it off, the top of the board looks fine (although it is a bit dusty), but on the bottom there is some odd looking stuff around the solder for the battery - it's the 3rd pic - any idea if it could be some corrosion? Just flux residue. Nothing to worry about, easy to clean off. Thanks really glad i won't have to try and clean/neuteralise it. I need the demo sound off and freeplay. Boo. blue taito ashtray filled with quarters ftw! Not to stray too far off topic (jonny5 style ) but to each his own. Some people also like to play PCBs on their TV with supergun and neogeo joypads because its easier. Since I own an actual cabinet, I like to keep the experience as original as possible and use coins. I've had plenty of people over my place at shmupmeets for the past 5+ years and had the occasional coin jam but its never been a problem. Learning to tweak a chute and coinmech is a fine art worthy of any collectors time. Hearing the mechanical plunk combined with the game's coin-up sound is music to my ears. Playing on freeplay or hitting a credit button 10 times before starting a game diminishes the experience and value each credit holds...this comes from my opinion of over 10 years in the hobby. Some people also like to play PCBs on their TV with supergun and neogeo joypads because its easier. Since I own an actual cabinet, I like to keep the experience as original as possible and use coins. I've had plenty of people over my place at shmupmeets for the past 5+ years and had the occasional coin jam but its never been a problem. Learning to tweak a chute and coinmech is a fine art worthy of any collectors time. Hearing the mechanical plunk combined with the game's coin-up sound is music to my ears. Playing on freeplay or hitting a credit button 10 times before starting a game diminishes the experience and value each credit holds...this comes from my opinion of over 10 years in the hobby. you call me out for going OT, and then proceed to type a paragraph of even more OT? Is the runoff material safe to touch? Better not to be safe? Is there a list of all the boards that have batteries (besides the known suicide ones)? Or would it be shorter to have a list of boards that don't have batteries? Chill jonny5, its all good'n da hood. LOL! Check the av pic! The runoff is not going to eat through your skin if thats your concern, but should be cleaned off the board as it will continue to corrode connections even after you remove the bad battery. As humorously mentioned by Ed up at the top, vinegar + baking soda does a good job at neutralizing the acid. Also a small wire brush to clean out and corrosion under the resistor pack if needed. I don't understand your second question, its not like you need to avoid PCBs that have batteries, just need to keep an eye on them. 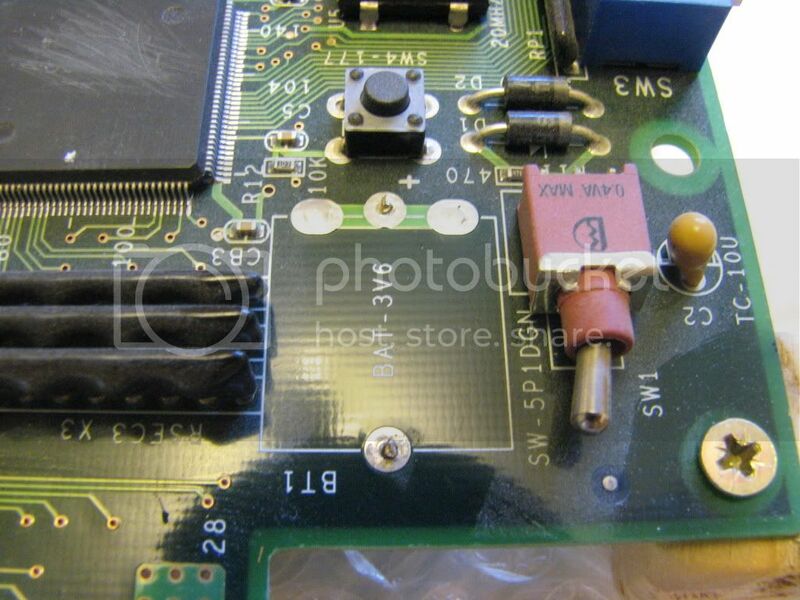 The ones of most concern are the suicide PCBs like any CPS2 (and CPS1? ), and DOJ Black Label. Last edited by Dave_K. on Thu Aug 20, 2009 3:13 pm, edited 1 time in total. Not avoid but keep an eye on. Don't some games use batteries to save (as opposed to EEPROM) and wouldn't they be at risk to leakage? you want a piece too PCEFX?